Authoritarian Regime For Economic Prosperity? Four and a half decades ago, the erudite and then influential Buddhist priest, Rajakeeya Panditha Venerable Henpitagedara Gnanasiha Thero, suggested in a book in Sinhala on the theme of dictatorship that Ceylon, as the country was known at that time, should establish a dictatorship under a benevolent ruler. The objective was to deliver prosperity and enable the country to regain its former glories. The book became an instant bestseller with many supporting its views and only a handful of few opposing them. But it would have been sweet music to the ears of the then politicians because the book provided the moral and ethical justification for an authoritarian regime in the event of their choosing to have one under their control sometime in the future. The erudite Buddhist priest had all the reasons to be discontent with the prevailing democratic form of government in Sri Lanka at that time. Even after two decades of ending the colonial rule, the country was still undeveloped. Its main income source was from tea, rubber and coconut – exactly as it had done during the colonial period. It could not produce enough food to feed the nation and had to depend on imports to fill the shortage. There were no industries of worth except a few mega industries set up by successive governments with foreign aid and dependent on imported raw materials. Even those industries were crippled by sporadic strikes orchestrated by left-wing parties as a weapon to show their strength to the government. People had been dependent on subsidies and therefore become lazy to work hard. There was, therefore, indiscipline throughout the system from government to private sector to ordinary citizens. Democracy was blamed for all these ailments. So, there was a necessity for a tough leader who would run the country like a dictator but with a difference: He should be a benevolent dictator and therefore he would use his dictatorial powers not for his personal gains but for the benefit of the country. Venerable Gnanasiha’s diagnosis of the ailment with which the country had been inflicted had been accurate: That the people were lazy and democracy had made them lazier. He prescribed that force should be used to motivate them to work hard, just like a father using force on a son to study hard day and night. In this latter case, the son’s rights are suppressed for his own benefit. Similarly, there is nothing wrong, as argued by the erudite priest, in suppressing the economic rights of people because their temporary sacrifice in the present day will earn them substantial dividends later in life. If it is not them who would benefit, at least their children will benefit from the sacrifices they have made. Almost all the leaders who took over the realm of the country from around this time enforced an authoritarian rule of one-way or another on the citizens. Instead of enforcing authoritarianism in its own right, it was enforced within the democratic framework by using the super majority power they had enjoyed in the Parliament. This rule was justified by each one of them on social, political, economic, ethnic or spiritual grounds. Accordingly, the rights of the citizens, freedom of speech and assembly, right to hold property, right to elect their own representatives and right to be treated equally under the Constitution were suppressed, again to a greater degree on some occasions and to a lesser degree on other occasions. Yet, even over four decades, the authoritarianism could not deliver the promised prosperity to citizens in comparison to the achievements made by other countries in the world. For instance, Sri Lanka’s per capita income or PCI increased from US $ 155 in 1970 to $ 2900 in 2012. When taken alone, this represents an increase by 19 times over the 43 year period. However, a neighbouring country like Thailand recorded an increase of PCI from US $ 192 in 1970 to $ 5600 in 2012, an increase by 29 times. Thus, authoritarianism had produced some results, but not the best result. Venerable Gnanasiha or Sri Lanka’s rulers who resorted to an authoritarian mode of government are not alone in believing the virtues of that system in attaining quick results. When people are deprived of their rights and fear is instilled in them, the motive for survival will force them to act fast. Imagine how people will run for safety as fast as they could if they are told that a tsunami is going to hit them. That quick movement will not happen in a normal situation. Hence, to mobilise people fast in an emergency, a certain dose of fear has to be injected to them and authoritarianism, and not democracy, is the best way to administer that dose. This is because authoritarianism does not permit people to question and democracy by doing so creates a situation where people just keep on arguing without doing anything of worth. The following are the virtues normally attributed to authoritarianism if a nation is to attain quick progress towards economic prosperity. First, to create prosperity a society has to create wealth. But to create wealth, it has to use wealth set aside in the form of savings for reinvestment. Kautilya, the 4th century BCE Indian economist, used an aphorism in The Arthashastra to drive this message home. He said that just like elephants are used to capture elephants, wealth has to be used to produce more wealth. Savings are generated by curtailing consumption and if people do not curtail consumption voluntarily, they should be compelled by using force. Democracy does not permit a ruler to use force in view of the consideration of human rights when he mobilises those savings for development. A ruler may therefore prefer to use force and, to do so, he has to assume dictatorial powers. History is in fact abundant with examples of using force to make a quick mobilisation of resources for accelerating the rate of economic growth. During the World War II, according to evidence revealed at war-crime related Nuremberg trials against the Nazi officers, Hitler is said to have used this strategy to make a forced transfer of resources belonging to the Jews for the production of war-related goods for the German army. First, the movable assets of the Jews – cash, gold, clothes and furniture etc – were confiscated. Then, their immovable assets like buildings, factories and plants were taken over. After depriving them of both movable and immovable assets, they were herded to compulsory labour camps to work day and night in munitions producing factories. Since they were not given a sufficient food ration to maintain their health, it was tantamount to, according to analysts, transferring the accumulated calories in their bodies to the German state. After they died of illnesses related to underfeeding, it is said that the bones of the dead Jews were processed into fertiliser for use by German farmers. This is an extreme case of using dictatorial powers to force people to give up everything they own for the sake of producing more goods for a nation. This could not have been done in a democratic regime. The forced labour camps in the former Soviet Union, in modern China and in Kampuchea under the Khmer Rouge rule are some of the more recent examples of transferring forced savings for the production of goods and services. The compulsory savings scheme that was in force in Sri Lanka during 1970-75 forcing all taxpayers to subscribe a given percentage of their income to a special fund could be added to this list as a mild form of mobilising forced savings. But that was done under democratic authoritarianism. Second, when fast economic growth targets are pursued by a nation, there could be public agitation by unions for more facilities and higher wages and civil society organisations for ending human right violations or environmental misuse. Under democracy, these have to be tolerated and permitted but the rulers may view them as an unnecessary obstacle for fast economic growth. Hence, authoritarianism is preferred to democracy to tame the militant and defiant trade unions and civil society organisations. Third, authoritarianism permits quick decision making since there is no need for wide consultations with those who are affected by developmental programmes. For instance, if a country is interested in modernising and redesigning an urban area, it is necessary to move many of the current occupants out in order to release lands for developmental work. This is tantamount to violating human rights and under a democratic system it is considered a serious crime. Hence, dictatorial powers should be vested with the city planners to evict people at their discretion and thereby release the much needed lands for development purposes. China did this on a wide-spread scale when it redesigned Shanghai as an industrial city and Beijing as the venue for 2008 Olympic Games. It would have been difficult for a democracy to attain these goals within a short space of time. In view of the above virtues, it is often argued that authoritarianism is a better mode of government if a nation is interested in achieving a fast economic growth. Some argue that a country need not go for full authoritarianism but a little bit of authoritarianism is just sufficient. This little bit of authoritarianism will not work in practice because though it is little bit now can become too big one day. Many who advocate authoritarianism as the best mode of attaining quick economic growth often quote the example of Singapore, China, South Korea and Taiwan as best examples of its working well. These four nations had authoritarian regimes, but were successful in elevating themselves to the status of developed countries within a single generation. They also point out India, the world’s largest democracy in terms of the number of voters eligible for electing their representatives, as a bad case of economic failure. But, is democracy a hindrance to economic progress? If so, is authoritarianism a facilitator of economic progress? These questions have been answered by world’s famous economists starting from Adam Smith in mid 18th century to MIT’s Yasheng Huang today. In between, there are economists belonging to the Austrian school like Ludwig von Mises, Friedrich A Hayek and Joseph Schumpeter and more recent economists like the Nobel Laureate Amartya Sen and MIT’s Daron Acemoglu who have argued for democracy and against authoritarianism. In a TED (Technology, Entertainment and Design) Talk delivered in June 2011, MIT economist Yasheng Huang argued that those who quote the success stories of the four countries mentioned above have ignored more numerous failures with authoritarian regimes in Asia, Africa and Latin America (available here). Yasheng says that they make the mistake of asking only the winners of lotteries whether people win lotteries; the answer invariably is yes and you make the mistaken judgment that 100 per cent of people win lotteries whereas there thousands more who have not won lotteries. Even with regard to India, prior to 1990s when India had an authoritarian rule under Indira Gandhi and her son Rajiv Gandhi, India’s growth rate was equal to what is known as the ‘Hindu Rate of Growth’ at 2 to 2.5 per cent; since 1990 when India became more democratic having shed authoritarianism, its growth rate sprang phenomenally to above 7 per cent per annum. According to Yasheng, when China was under the dictatorial rule of Mao Tsetung, its growth rate was dismal. Though China is a one party system even today, it has its own system of democracy in which rulers are changed every ten years and new rulers are appointed under the party rule after grooming them into leadership. Though this system differs from the Western system of democracy, it is a better consultative process than a pure authoritarian rule. Authoritarianism will bring a quick acceleration in economic growth because everyone is forced to work harder than before. But that acceleration cannot sustain itself because it does not produce the required prerequisites for economic maturity and sustained economic growth. That prerequisite today is the human capital development in a wider sense. To produce goods and services, a nation needs material inputs like infrastructure, plant and machinery equipment and transport vehicles etc. But it is the capacity, skills base, talents pool and knowledge of people who run that economy that will make its growth sustainable. All these good attributes of human capital are facilitated by the existence of good health, development of science and technology and investment in research, application, marketing and development. A human being who develops these attributes in himself is in fact developing a property which will give him an income stream in the future, the incentive for him to do so. This property is his property and it has to be protected as a right if he is to be induced to develop it. He should have right to dispose of this property for his benefit in the market in a voluntary exchange. If he is forced to part with his property, he has no incentive to use his time and money for its further development. When this attitude becomes wide-spread discouraging everyone in society to develop their properties, the initial economic growth attained will soon lose steam. A democracy is the best system for people to develop their human capital because new knowledge requires freedom of speech and freedom of expression. The authoritarian rulers could suppress these freedoms having considered them as a nuisance. But it hinders human knowledge development which is necessary for continuous economic growth. The Ukrainian emigrant novelist Marina Lewycka has explained in her novel, “A Short History of Tractors in Ukrainian” how the suppression of free thought and free expression during the Soviet regime killed the innovativeness of scientists in Ukraine and why many of them became alcoholics and others migrated to Europe and North America to escape the oppressive regime. In an authoritarian regime, property rights are not protected because there is no observance of the Rule of Law and there is no independent judiciary to ensure its proper observance. The law enforcing authorities in those regimes are simply the slaves of the rulers and therefore, there is no proper protection for citizens who have to develop their own property if a country is to sustain its economic growth. Thus, even a little bit of authoritarianism is not beneficial for a nation intent on delivering prosperity to its citizens on a sustainable basis. A little bit of Dictatorship was introduced by Felix under Srimas Govt. Only the Rajapassa family, its crony capitalists and the military have “economic prosperity” in Lanka today! You are WRONG to suggest otherwise. 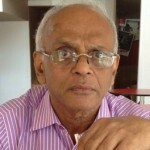 The majority of the Lanka population is not prospering economically under the Rajapakse military dictatorship: honest professionals and workers and farmers and fishes are SUFFERING and the SUICIDE rate has increased due to economic stress, so you are wrong to suggest that Lanka is like Singapore and now has economic prosperity! It is a very warped under-development that Lanka has at this time. In Singapore there is real economic growth under an authroitarian regime but in Lanka there is only rent seeking crony capitalism and gross poverty and inequality at this time. Only the politicians and corrupt financiers have got rich! Inequality and CoL has grown geometrically. The majority of the Lankan population who are not on the Rajapassa and the politician’s gravy train are reeling under the rising cost of living so there is no Economic Prosperity at this time. There is ONLY a dictatorship SANS prosperity in Sri Lanka today. You are polite to call it authoritarian – The Rajpapassa regime is in fact a MILITARY DICTATORSHIP and this is very clear in the periphary of the State i.e. in north east Lanka where people are economically and politically oppressed by a regime as brutal as the LTTE, differently. Quite right old boy Don! All the politicians are corrupt and so too are the military officials.. This gentleman economist is rather off the mark! Wanna-be Prime Minister of Lanka Sirisena is a crook and practices the same looting as the Rajapassa family dictatorship. 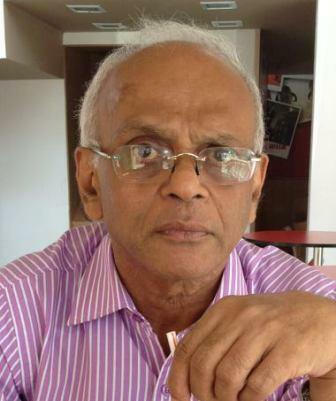 His son is a goon who attacked a DIG’s son in one of Basil Rajapassa’s hotel’s in Passikudha – Malu Malu which is built on land looted from Tamil speaking Adivasi communities in the Eastern Province Batticaloa District. We do have an undeclared,but identifiable dictatership,authoritarianism,transfer of assets of the people to the government,& powerless trade unions. The government says that the nation is prosperous. Noone has died of starvation. Noone has commited suicide due to poverty – like thousands of farmers in india. So,what is wrong with us? Is it possible to elucidate? Take the first 50 countries in current GDP rating. Select the period from Oliver Cromwell to Mahathir Mohamed. Can you identify the countries that attribute prosperity to democratic beginnings? Have any of them bypassed the Cromwellian phase? Excellent article which should be read by authoritarian tended and mended politicians in Sri Lanka and their henchmen in every nook and corner, whose voices are not heard in direct form! WAW, whether dictatorial or democratic, the essential element that is required is the integrity and honesty of the Ruler. If the integrity quotient(as initiated in Singapore by Lee Kuan Yew)is firmly established in government then growth and prosperity will naturally result. Unfortunately we continue to be governed by rulers who are far from honest. Worse still, the rulers corrupt their political cronies to perpetuate their governance. The discourse should be about how to establish a true Dharmishta society. People are not interested in dictatorships or democracies (in practice the difference is marginal). The average citizen simply wants food on the table and prosperity for his children. Many thanks for this Sir! Sri Lanka is GOING BACKWARD but there is lot of SPIN and advertising about “development”. The development model today is more accurately called the MILITARY BUSINESSES model: while destroying property rights and land grabbing for military tourism – sports – businesses – hotels- cafes-travel agency, sports complex, airlines, dolphin tours, hotels in Safari parks for military, Golf courses etc) – all run by the military and military officials in their private capacity. THe military is more and more corrupt at officer level while the soldiers are working as masons and farmers Colombo and northeast of Rajapassa pet projtects. This is a very dangerous game – that is bad for business expansion which has to compete with the state subsidized military businesses that lad grab using guns and bad for the military because it causes MANDATE CREEP and destroys military discipline and promotes CORRUPTION IN THE MILITARY as in Pakistan and Indonesia. Please write on this Sir. The so called Minister of Economic Development Basil Rajapaksa has not got a degree and knows nothing about Development or Economics – only knows to land grab and loot the national wealth while morgaging Lanka under a pile of DEBT. This is the rotton Rajapass vision of development! The Ven. Dhambara Amila Thero speech at “Unity in Diversity” is the ingredient for economic success in Sri Lanka. When I Read this article and the Present Rajapakse Behaviour, I could guess that Rajapakses to some extent practice some of Venerable Henpitagedara Gnanasiha Thero’s theory. Rajapakse’s Dictatorial Authoritarian rule is going to be an absolute failure. I thing the worst blunder British did was, giving us Independance without giving proper training to our leaders on Governing of Sri Lanka. Also SWRD Bandaranaike is the first destroyer of our Parliament, culture, economy and prosperity. By changing his Christian Religion to Buddhism and giving more powers to Buddhist Sinhala Populace. If Dictatorial Authoritarian rule would be the ideal economy, then Soviet Russia, China, North Koria, Cuba, would have developped long time ago. But only after opening up their economies of Russia and China only they started their economies. Now China is world’s fastest growning economy with over 300 US Dollar Billioneers and Russia with over 200 US Dollar Billioneers. Absolute dictator make and absolute curruptor and waste of resources and money, which now visible in Rajapakse regime. Building sea ports without ships, Airports without planes, endless broken roads,Power plants not producing required electricity,control of countries finances, Monopolising Kasippu, Ganja and drug business. Liquor shops, Brothel houses, bookie shops,gambling and night clubs are all under Absolute corrupt dictatorship authority make country’s economy go to Ruins. THEREFORE BOTH SRI LANKA’S ECONOMIC PLANNING, SOCIAL UPBRINGING, EDUCATION, HEALTH, SERVICE AND INDUSTRIAl SECTOR AND ALL OTHER DEVELOPMENTS SHOULD BE PLACED UNDER AN EDUCATED QUALIFIED PROFESSIONAL BOARD WHILE FREE HAND SHOULD BE GIVEN TO PRIVATE SECTOR DEVELOPMENT.